Our collection of works by Carl Aubock has been fairly consistent throughout the years. I tend to add new works only if they feel right and fit in with our current range. I was scanning through their range and their key rings were appealing to me as you can attach it to your wallet or purse and carry it with you at all times. 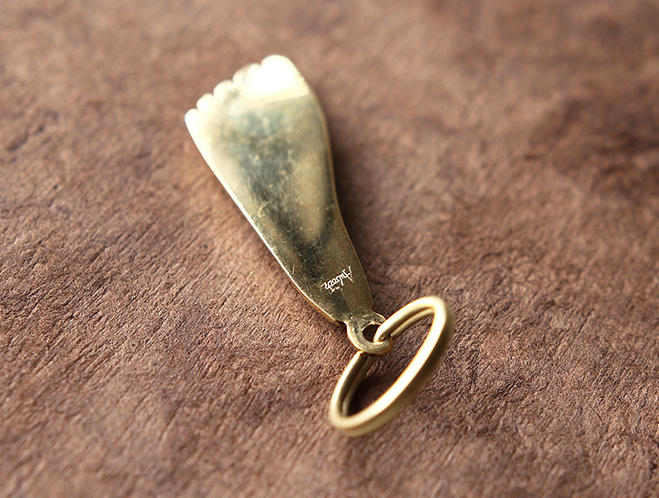 These brass keyring were produced at their workshop in Vienna, Austria. 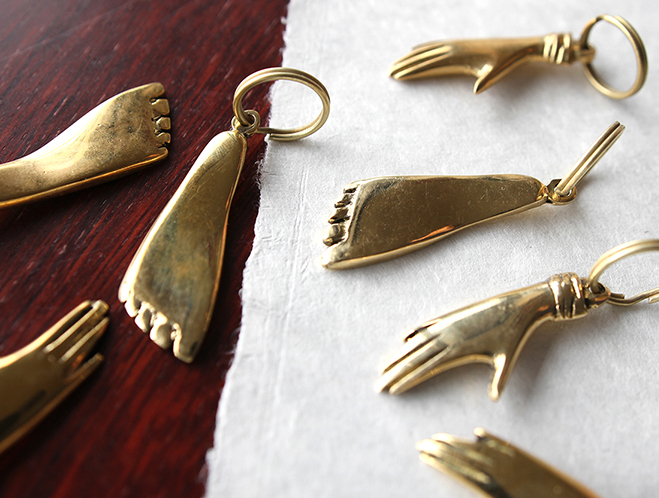 Each one takes many days to create by a skilled craftsman, they use a sand mould to create the pendant and polish the piece until it has the right amount of character. 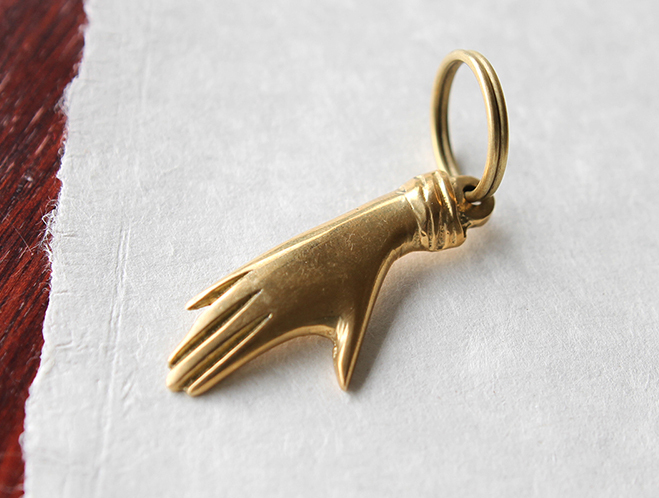 So we’re pleased to present two of our favourites in the shop, a hand and a foot keyring. Hopefully you like them and will view them in the shop. I certainly had fun photographing these pieces.